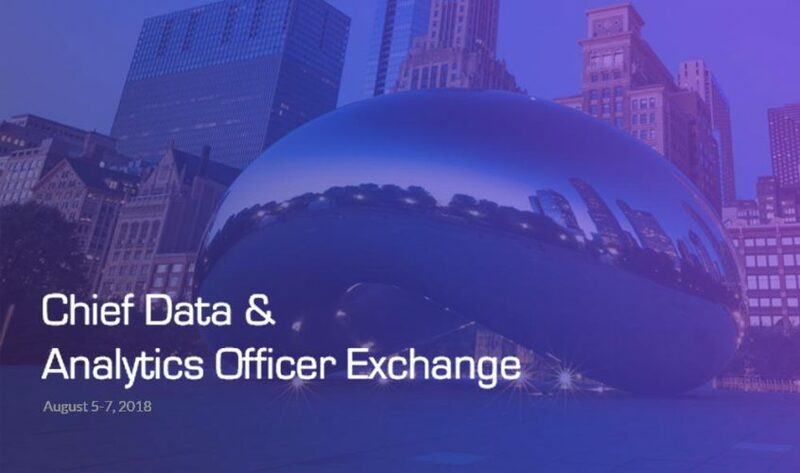 San Francisco – July 31, 2018 – Datometry, the leader in Adaptive Data Virtualization™, today announced it is a sponsor of the invitation-only Chief Data & Analytics Officer Exchange, to be held Aug. 5-7 in Chicago. This year’s event theme, “Turning Buzzwords into Practical Uses & Value for the Business,” focuses on the top challenges identified by Fortune 1000 IT executives. The Chief Data & Analytics Officer Exchange is an invitation-only peer learning and networking event; it is designed to connect Fortune 1000 heads of data and analytics, industry thought leaders and innovative solution providers in an exclusive environment to foster high-level, meaningful dialog and a candid exchange of ideas among industry experts. The Chicago event will bring together Chief Data Officers, Chief Analytics Officers, and Vice Presidents of IT from Fortune 1000 companies including Ford Motor Company, GE, The Walt Disney Co, McDonald’s US, and Charles Schwab among others. “We are very excited to sponsor the CDAO event in Chicago and look forward to presenting our data warehouse virtualization technology to senior IT executives. “says Sonya Pelia, Head of Marketing at Datometry.